Creativity is an important part of Lori’s life because it brings joy, purpose and a sense of accomplishment. Her passion for sewing began in her early teens and exploded when she began smocking and sewing heirloom garments for her daughter. Her artistry and attention to detail led her to open her own custom garment and alterations shop. 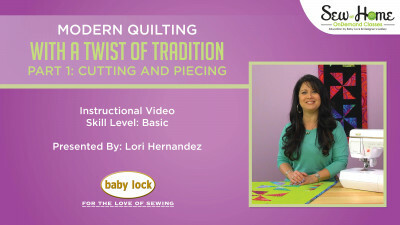 Eventually, Lori took the opportunity to share the joy of sewing, embroidering, quilting and serging with other sewing enthusiasts through engaging hands-on classes.